Rooney Mara looked as graceful as a ballerina in her sleek bun hairdo. 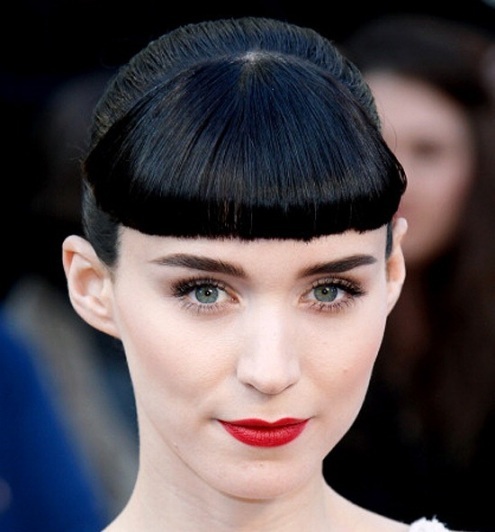 Rooney’s l..
Rooney Mara’s sleek, straight hair is styled in an updo appropriate for day or ni..
Rooney Mara’s sleek, straight hair is styled in an updo appropriate for day or night. Her short, edgy, blunt bangs complete this chic look. We’re seriously crushing on Rooney Mara’s amazing style choices this year – from..
We’re seriously crushing on Rooney Mara’s amazing style choices this year – from coif to haute. Rock a textured spiky baby ponytail by teasing the ends a bit and applying hairspray afterwards to set it. Easy, edgy, extraordinary!